I spoke to a Quality Line driver a while back and he said that the general feeling is that the company have overstretched themselves a bit, especially with the X26 contract, and maybe bitten off a bit more than they can chew. Hopefully they'll go from strength to strength under RATP, the drivers are a friendly bunch, and it seems they have made some gains in the Croydon area. Indeed, the X26 was a very big jump for them and was I understand loss-making towards the end of the contract. That plus the many mechanical issues with the Citaros, made things very tough. There are very exciting times ahead at Epsom garage; the team there are superb and as you say new work is planned. That is rather worrying, RATP had many mechanical issues with Citaros, but are buying a load more ... doesn't seem to make a lot of sense to me. Those were older ones with different systems, warranties and were also maintained under different procedures. The new ones that are being acquired (on 5 year financing agreements from EvoBus) are of the new generation model, and are completely different. They have proven to be superb on the 413, with excellent relliability, comfort and fuel economy- as well as competitive finance - hence why they were ordered. May I just ask, some Citaros in London turn up with low back seats (203, 227, 358), then others (507, 521, 413, 293) end up with those comfy mid/high back seats. Is it known yet which type the Citaros will carry? Indeed, the prospects do look fantastic from what you’ve said. 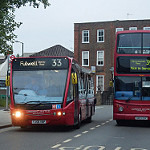 Having grown up with the 463, it was always a very well run route and the drivers indeed have always been really friendly. Too bad the Streetlites have nothing on those original 52-reg OPs. What beasts! 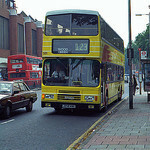 I can remember being very young and a lovely driver helped me when the route was on temporary diversion. This has led to a sharp decline in bus service provision to many of the smaller communities in North West Wales. Gwynedd County Council has stepped in to maintain some level of service but the cuts are severe, little more than skeleton services in some areas. Stephenson’s of Easingwold can be added to the list. Their home to school work has been taken on by a variety of coach companies, with Transdev Coastliner and Connexions taking on some of the bus work. A number of routes - the 19x routes around Malton and Thirsk town services - have not (yet, at least) been replaced. Another company that can be added to the list is Crosville Motor Services of Weston-super-Mare. After cancelling a number of routes last year and reports of maintenance issues, the company will cease operation from Saturday 21st April. 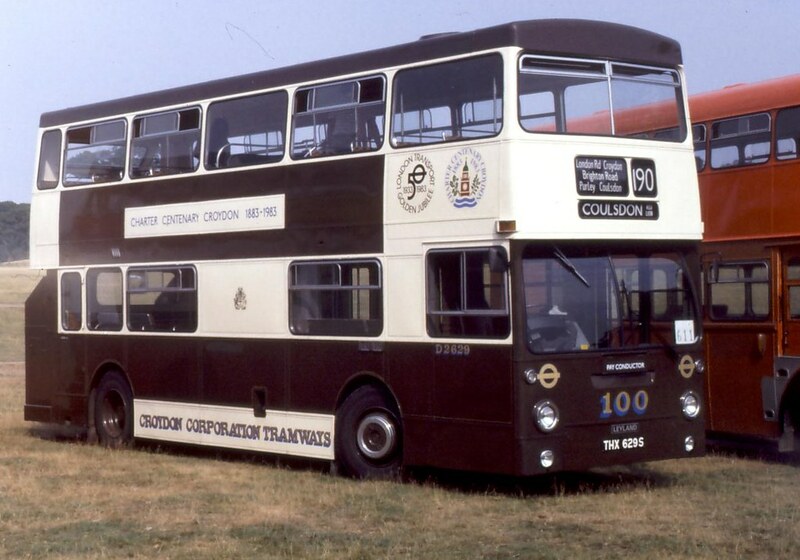 Don't they have some of the ex Arriva London first generation Wright hybrid DDs? HW1-3 (LJ09 KRG, LJ58 AVG/K) are now part open toppers. HW4/5 (LJ09 KRK/N) are no longer part of the fleet and think they retained their roofs. Any ideas where HW4/5 ended up? Parnham’s are also now ceasing to trade. What the member of staff did is unforgivable, but the way the operator has been treated (bearing in mind the staff member no longer worked for them) is also very harsh in my opinion. I agree - they've been wrongly hounded out of business by the council who could of dealt with that situation in a better way and hold some blame (as does that driver with his disgusting actions) indirectly for the rest of the drivers losing their jobs. But the council will be happy - they get a council estate where the depot stands full of nice, shiny, terribly built houses instead!